Want to learn some really cool guitar fingerpicking patterns that will not only have you playing up and down the neck of your guitar at blistering speeds, but will also be very adaptable to many different playing situations? 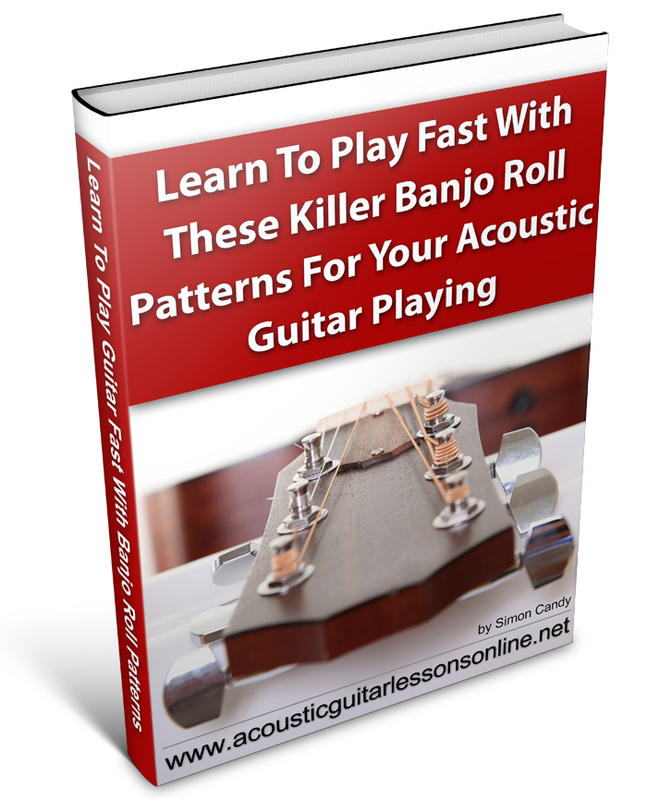 Some of the coolest and most impressive sounding fingerpicking patterns for your guitar playing are banjo roll patterns. As the name suggests, these patterns are influenced and taken from banjo players and adapted to the guitar to create some really cool sounding licks and runs. If you are looking for some new fingerpicking patterns that will take your guitar playing to a whole new level in regard to creativity and speed, then banjo roll patterns are the order of the day. Have a new found sense of confidence when it comes to fingerpicking your guitar, knowing that you have some awesome sounding banjo roll type licks ready to go whenever you feel the urge to use them.